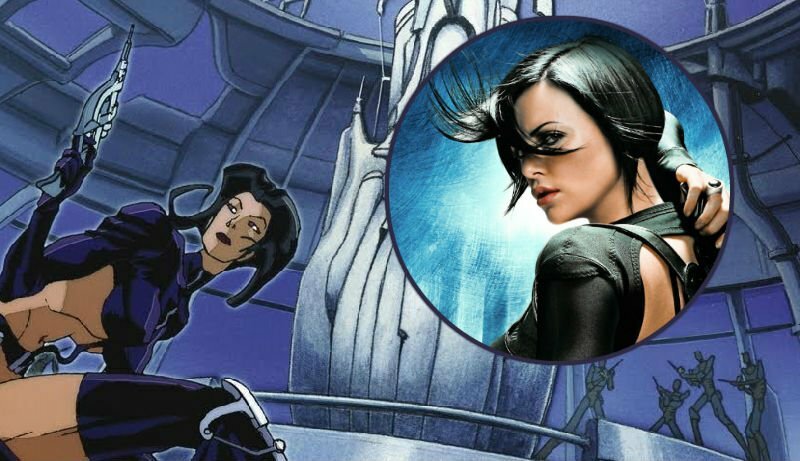 The Hollywood Reporter brings word that MTV is revisiting their Aeon Flux property and is going forward in rebooting the property into a live-action series. Jeff Davis (Teen Wolf) is the showrunner and is set to write the script and executive produce alongside Gale Anne Hurd (The Walking Dead). Hurd produced the 2005 live-action film featuring Charlize Theron in the titular role. According to the putlet, the reboot will take its cues from the original series and be set in a future dystopian state and revolves around a young assassin who teams with a group of biohacking rebels to save humanity as she becomes the hero known as Aeon Flux. The original Aeon Flux aired in 1991 on MTV as a series of shorts created by animator Peter Chung. In 1992, more short episode were ordered and aired. It wasn’t until 1995 that a ten-episode half hour long animated series was released. The first live-action Aeon Flux project was released in 2005. The film took place 400 years into the future, when disease had wiped out the majority of the earth’s population except for one walled, protected city-state, Bregna, ruled by a congress of scientists. The story centered on Aeon Flux (Charlize Theron), the top operative in the underground ‘Monican’ rebellion – led by The Handler (Frances McDormand). When Aeon is sent on a mission to kill a government leader, she uncovers a world of secrets.